Children will learn to recognise numbers from 1 to 9 and Zero. 2/ Show the other hand. 4/ Close the other eye. 6/ Lift the other leb. After warm up, below tasks for the teacher. 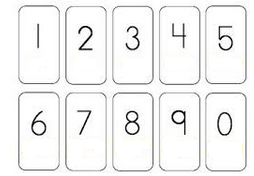 While introducing the numbers, ask children to show fingers equivalent to the numbers. 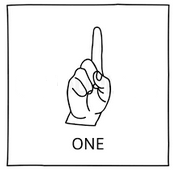 Ask students to show 1 finger like in the picture. 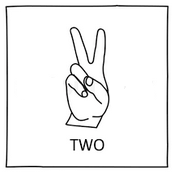 Ask students to show 2 fingers like in the picture. 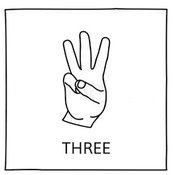 Ask students to show 3 fingers like in the picture and so on. To further strengthen the recognition of numbers they can also be shown a number of objects and asked students to pick the corresponding number card. The number cards can be made on cardboards or thick card in the class or bought from home by childrens. Give children more practice with counting concrete objects. For example, making them pick up 2 marbles or 1 flower or 3 pencils etc..